You can pay your order by credit card (Visa, Visa Electron, MasterCard, Maestro, American Express, JCB). You will be redirected to Paysite-cash's pages. Paysite-cash is a service provided by NordPay Financial Limited, a Payment Institution regulated by the Financial Conduct Authority of United Kingdom. We never have access to your paiement informations. 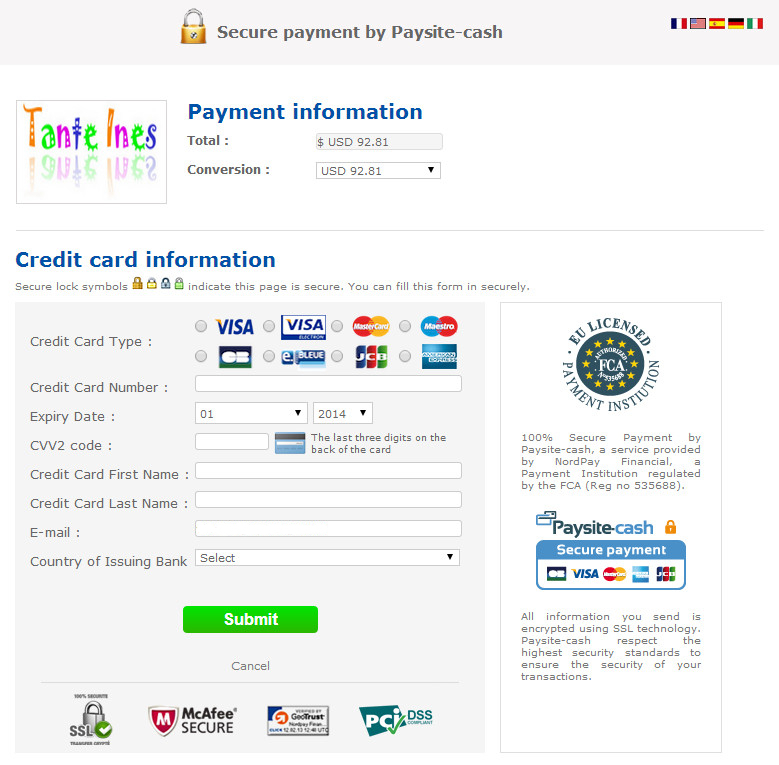 More information on Secure payment by Paysite-cash. You can pay your ordre by PayPal. 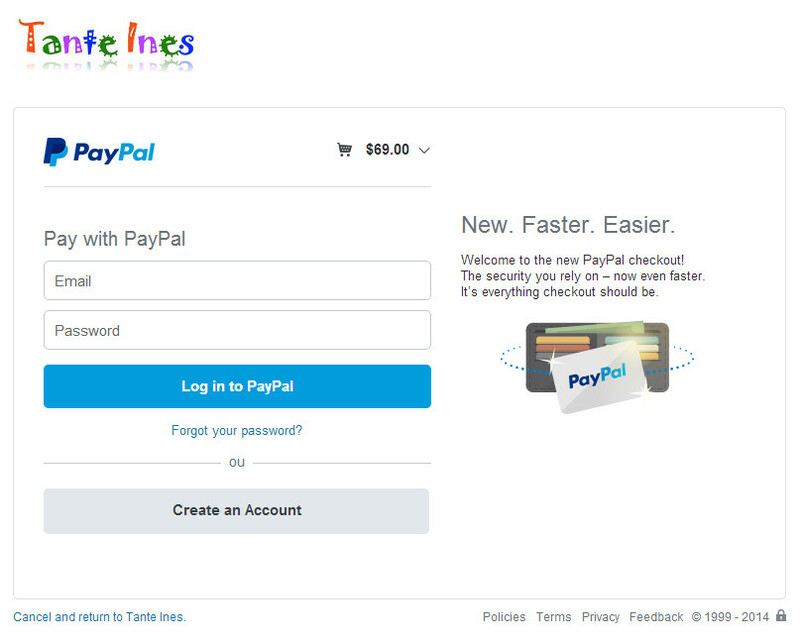 You will be redirected to Paypal's page to proceed your paiement. You can pay by cheque. We only accept french cheques in euros. We provide you all information needed after your order. You can pay by bank transfer. We only accept transfers in euros from European Community's countries. We provide you all information needed after your order.